If we had to guess, you’ve got at least two photo apps on your iPhone or iPad: the built-in Camera app, and something like Instagram. 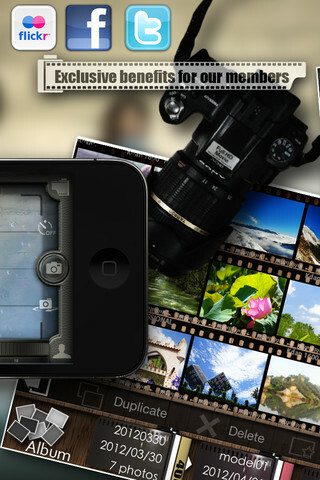 With so many photo apps out there, it’s hard for an up-and-comer to make its mark. So how does Pocket Snapper from KDan Mobile Software stand up? Well, pretty darn well…but it’s not perfect. 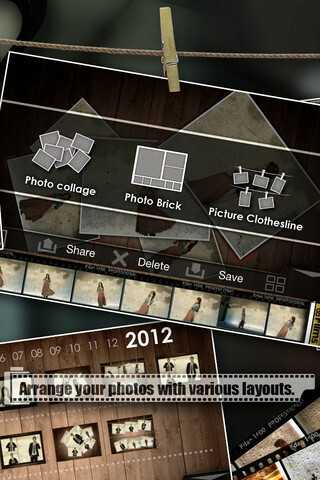 Stand-out features of this iPhone app include smart focuses, a self-timer, and a handy consecutive shooting mode. 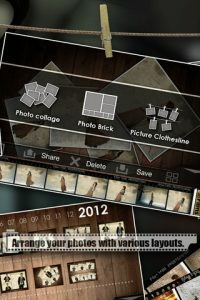 Once you’ve got a few photos in your camera roll, you can mess around with 9 different filters, 18 unique frames, and 3 different collage modes to display your creations. The interface is fairly straightforward, but a little cluttered at times. That being said, it’s easy to manage your photo library and the whole app is entirely intuitive. And of course, all of your shots are immediately shareable with your friends via Facebook, Twitter, Flickr, and YouTube accounts. 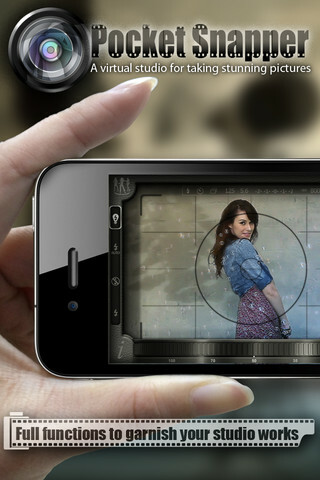 Another much-lauded feature is the ability to take photos from the embedded short video clips of glamorous models (“just like what a professional photographer would do!”). This seems like a cool extra, but it doesn’t really add a lot of value to the app as a whole. If you’re more interested in creating original art with your camera tools, Pocket Snapper may not be the right iPhone app for you, despite the polish and ease of use. 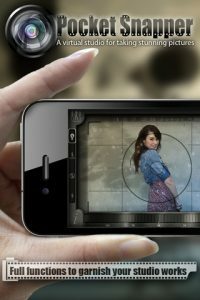 Pocket Snapper is compatible with iPhone 4, iPhone 4S, iPod touch (4th generation), iPad 2 Wi-Fi, iPad 2 Wi-Fi + 3G, iPad (3rd generation) and iPad Wi-Fi + 4G. Requires iOS 4.3 or later.